The Orang Suku Laut consider themselves indigenous Malays. Yet their interaction with others who call themselves Malays is characterised on both sides by fear of harmful magic and witchcraft. The nomadic Orang Suku Laut believe that the Qur'an contains elements of black magic, while the settled Malays consider the nomads dangerous, dirty and backward. 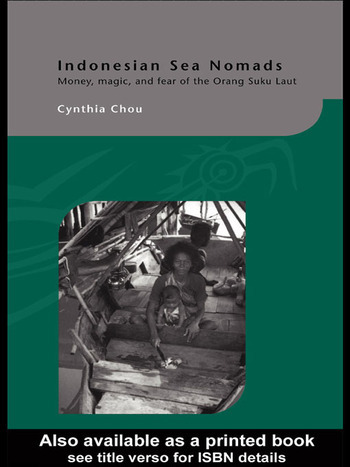 At the centre of this study, based on first-hand anthropological data, is the symbolism of money and the powerful influence it has on social relationships within the Riau archipelago. The first major publication on these maritime nomadic communities, the book also adds fresh perspectives on anthropological debates on exchange systems, tribality and hierarchy. It also characterises the different ways of being Malay in the region and challenges the prevailing tendency to equate Malay identity with the Islamic faith. Cynthia Chou is Assistant Professor of Southeast Asian Studies at the University of Copenhagen, Denmark.